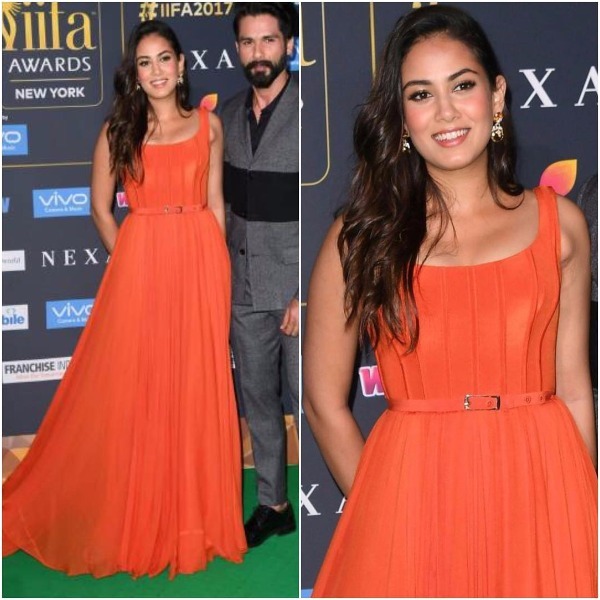 The 18th India International Film Awards (IIFA 2017) enrolled its green carpet for the main event last night that saw Bollywood celebrities in their best stylish appearances. Several celebrities, singers flocked the green carpet of the industry’s biggest award night. The awards night is not only known to celebrate the contribution of the celebrities in cinema but also showcase their exquisite taste in fashion. B-town stars like Alia Bhatt, Katrina Kaif, Sonakshi Sinha, Dia Mirza and others put their best fashion foot forward at the star-studded night. Many rocked their green carpet appearance in overwhelming designer outfits while many failed to impress us, be it for their outfit or makeup. 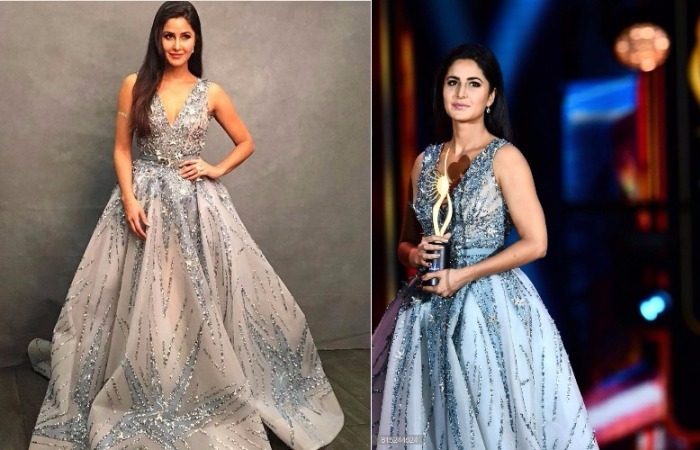 Katrina Kaif made looked stunning and like a doll in Ziad Nakad gown, with her minimal makeup let her gown do the talking. Also Read: IIFA 2017 Full Winners List: Alia Bhatt, Disha Patani Win Big, Neerja Becomes Best Film Of The Year! Sonakshi Sinha walked the red carpet in embellished LaBourjoisie designer gown and surely is on our best-dressed list. Disha Patani chose another glittery one for the main event by Falguni & Shane Peacock. She surely knows how to carry the glitter at her best but something about her appearance looked underwhelming. Also Read: IIFA ROCKS 2017 Green Carpet: From Katrina To Alia, Saif to Shahid-Who Wore What! 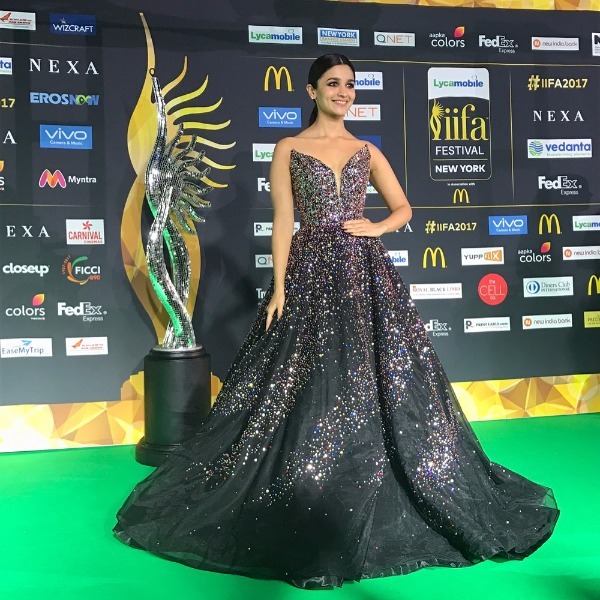 Alia Bhatt made her striking appearance in her Zuhair Murad Couture gown with a sleek knot and smokey eye complemented her stunning look. Talking about Neha Dhupia’s look; while her outfit looked pretty, her hairdo looked quite suffering. Nargis Fakhri owned that Gauri And Nainika gown was absolute yes but, it was way over revealing too. While Shilpa Shetty served up some serious glam in Monisha Jaising, giving her best stand out green carpet appearance. Bipasha picked a Gaurav Gupta gown, which she pulled off amazingly. 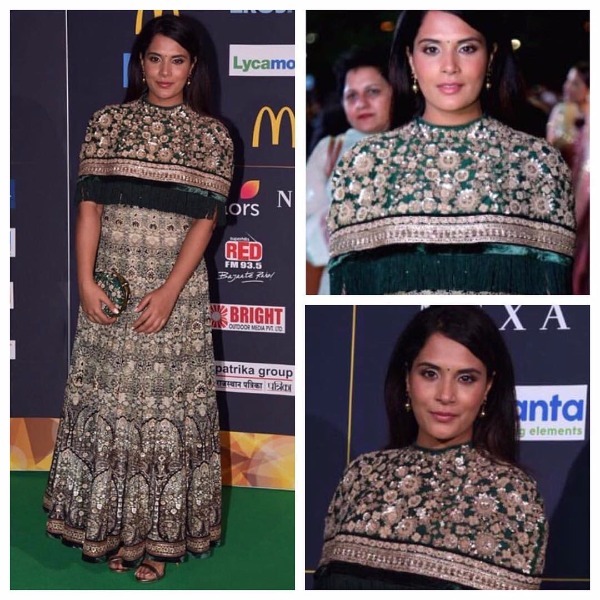 Richa Chadha’s choice of picking Tarun Tahiliani ornate gown didn’t go well, she could not do justice to it. Kalki Koechlin’s peach red Gucci ruffled gown was a good pick but, her disastrous makeup and no-jewelry scored her zero. Like, Follow Eventznu. More IIFA 2017 and Bollywood updates on our block. Previous : IIFA 2017 Full Winners List: Alia Bhatt, Disha Patani Win Big, Neerja Becomes Best Film Of The Year!